It’s been less than 24 hours since last night’s reunion, and my mind’s still spinning over the whole experience. To see the people we grew up with, in some cases since elementary school, together in a room after a ten year absence . . . all I can say is wow, unbelievable. I literally felt like I traveled back in time. A huge THANK YOU to everybody who came; whether you showed up early for dinner or in the wee hours of the night, it was really you guys who made this reunion special. More post-reunion wrap-ups to come. In the meantime, post your experience at the reunion, whether it was awesome or awkward, let’s hear about it. Also I’d love to hear a reportback on the after-party at Gallagher’s. Thanks again! 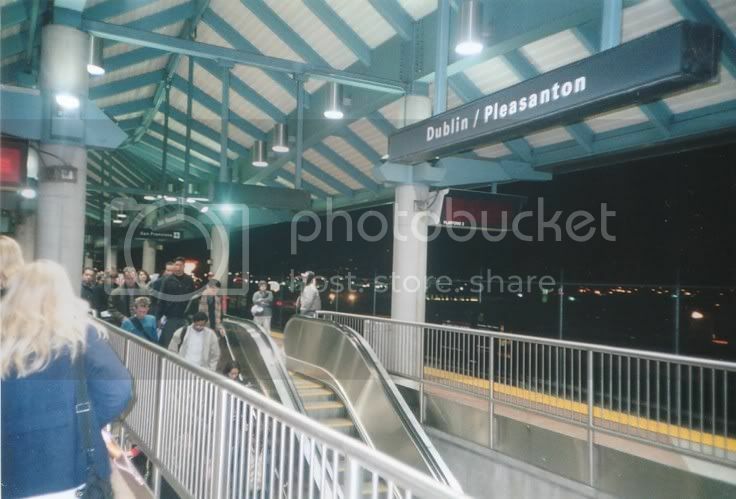 Welcome to our new blog for our ten year reunion, which is taking place Saturday, August 18, 2007 at the Radisson Hotel in Dublin, California! We are temporarily switching from our previous home page to make it easier for people to post comments without logging in. –> You can still access our Official DHS Class of 97 website here. –> Need to reserve tickets? It’s kind of late, but we’ll take your money at our PayPal link here. This is an open thread for the Dublin High School Class of 1997 Ten Year Reunion, which is happening today! Everybody is welcome to post comments and messages for the class, whether you are attending the reunion or not. If you are unable to attend the reunion, join us online! Hey Class of ’97, welcome to our new blog for our ten year reunion, which is taking place Saturday, August 18 at 6pm at the Radisson Hotel in Dublin. (that’s tomorrow!) We are temporarily switching from our previous home page to make it easier for people to post comments without logging in. –> Need to reserve tickets? Use our PayPal link here. Now for the frivolous topic at hand, a couple of people have asked, “What should we wear to the reunion?” On our invitations, we said that the dress code was “casual to semi-formal”, which admittedly was not very specific. Whether you’re attending the reunion or not, comment on this important topic. What DO you think we should wear to the reunion? I’d like to wish everybody in the Class of ’97 a very Happy Holidays and New Year! Or as the local radio commercial puts it, a very Merry ChristmasDiwaliKwanzaaHannukahLasPosadasWinterSolstice (or something like that). Just curious about what folks are planning to do this winter. I’ll be in the Bay Area shuttling between my fiancé’s house So. SF and my lovely home here in Dub-town. For you out-of-towners, do you still have family in Dublin whom you plan to visit? Wherever you are, have a lovely time and I hope to see you next year! In the interest of promoting idle chatter on the DHS site, Thinking about this reunion has conjured up some anxious thoughts in me. I keep imagining that something similar to what happens in the movies will happen at the reunion. Does anyone have any movie comparisons they would like to make? Who is most likely to arrive at the reunion in a helicopter? Have any of you made money in plastics? Which one of you has experienced a My Fair Lady-like makeover? We just added a new Class Survey link in the main menu on the left. Help us plan the reunion by taking the Class Survey! If you haven’t already, register on this site to receive reunion updates, and invite your classmates to join the website. Also, join the reunion planning committee by contacting us. See you at the reunion! We need your help to plan the reunion! Take our class survey and let your opinions be heard! This survey is 35 questions long and should take about 5 minutes to complete. We would like to have your survey responses back before December 31, 2006, that way we can use your responses to start nailing down the event details next year. Click here to take the online survey! Thank you for taking our survey! Your answers will help us plan a better reunion! Invite your friends and fellow classmates to take the survey by clicking here. If you haven't already, register on this website for reunion updates! This is a list of classmates we either haven't found or who have not yet registered on this site. If you know how to contact one of the people on this list, by all means invite them to join this site. And if one of them is you, what are you waiting for, sign up already! These names are compiled from the official school roster. If you think somebody was left off, it was not intentional, just let us know.